Gary Lance took the mound for Encina High School in the ninth inning with a three-run lead, but he couldn't hold it, according to The Placerville Mountain Democrat. A walk, single and a home run left this May 1988 game tied. Lance's Encina teammates, though, picked him up, sticking with it to win the game in extras, The Mountain Democrat wrote. Lance went on to turn pro two years later. His pro career, though, was brief. He got into just a single game. Lance's brief pro career came in 1990, taken by the Phillies in the 29th round of the draft out of American River College in California. 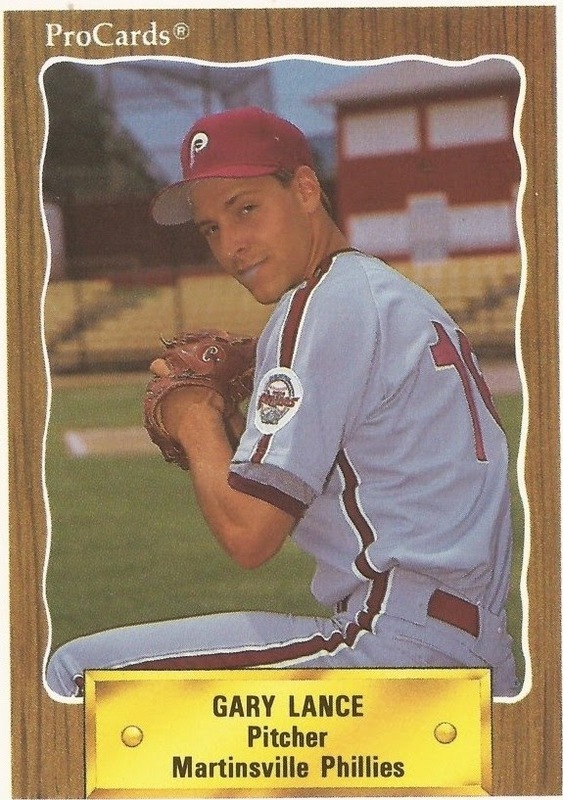 With the Phillies, Lance was assigned to rookie Martinsville. The right-hander's time there was short. He started one game for Martinsville and he got one out. He didn't make it out of the first. He walked one. He hit one batter with a pitch. Both of those runners came around to score as Lance and Martinsville took the loss. After that game, Lance didn't get into another contest. He finished with an 0-1 record. Those two earned in just a third of an inning amounted to an ERA of 54.